Description Same as 50a & c, and 1534. (Negative with 50a.) 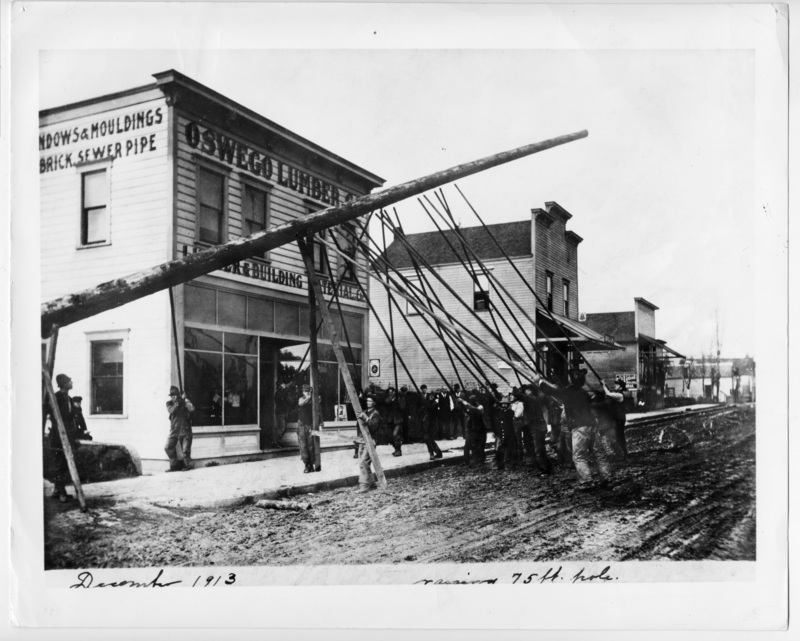 Writing on front: December 1913. raising 75 ft. pole. Pole is for electricity to run the P E & E Railroad.